Imagine a lush green shaded corridor with chirping birds, scurrying squirrels and giggling children enjoying a bike ride. Now imagine all this in the most highly urbanized county in the state of Florida. 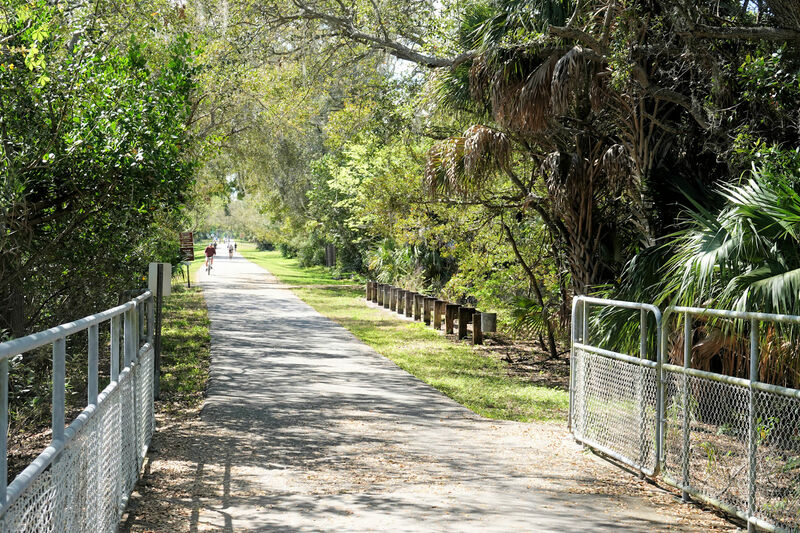 With nearly one million residents in the 280 square miles in Pinellas County, The Fred Marquis Pinellas Trail is a green jewel in a county that is sometimes inaccurately perceived as a county of concrete. The average annual attendance on the trail since 1992 is 977,241 users, indicating the trail is a welcomed and integral part of Pinellas County. A November 1999 survey shows that of the total attendance, well over 40% used the trail to commute to work, school, parks, shopping and restaurants. Exercise, nature appreciation and general recreation also rank as major uses. The trail traverses 8 of the 24 municipalities in Pinellas County and is credited with assisting with downtown redevelopment in several of these cities. The trail also provides a greenway corridor for urban wildlife and bird migration and provides plentiful nature viewing opportunities. The trail is heavily used for special events such as races, walkathons and bikeathons. The Pinellas County Park Department operates the Pinellas Trail with a staff of 13 who patrol, inspect and provide public relations information to trail users. Additionally, Auxiliary Ranger Volunteers log 500 to 700 hours per month patrolling the trail and providing a friendly presence to assist trail users. The Fred Marquis Pinellas Trail opened in 1990 with an initial 5-mile stretch. Since then, it has grown to 47 miles, including several spurs. Plans for an additional 20-mile extension are underway. This extension along the east side of Pinellas County will serve to loop the trail throughout the county. "The Pinellas Trail is a 15-foot wide paved asphalt trail built along an abandoned railroad corridor through the length of Pinellas County. Along parts of the Trail you can enjoy deep glades of live oaks, trailing Spanish moss, tidal streams with wildlife and quiet waterways for fishing. The Trail leads you to a number of City, County and State parks along the route. A trail spur was built to Honeymoon State Park, and a trail in Fort DeSoto County Park will be joined to the Pinellas Trail in the future. 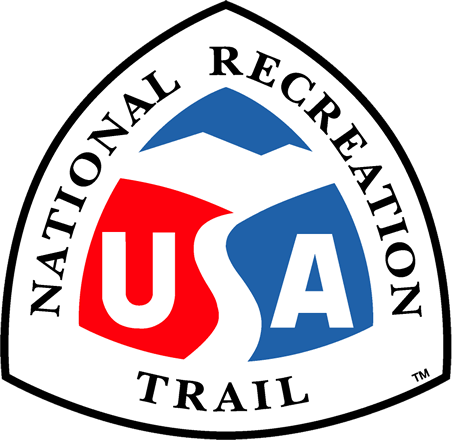 The Trail passes through several downtowns with cultural and historic significance, including Dunedin, Tarpon Springs, and Palm Harbor. The Pinellas Trail is a priceless haven of peace in a densely populated urban county. The residents and visitors to the Fred Marquis Pinellas Trail agree that the trail is a priceless jewel and look forward to having it designated a National Recreation Trail. Squid bike rack along Honeymon Island Causeway spur. Photo by Doug Alderson. Pinellas trail rider in Dunedin. Photo by Doug Alderson. Pinellas Trail - near Hammock Park. Photo by Jim Walla.